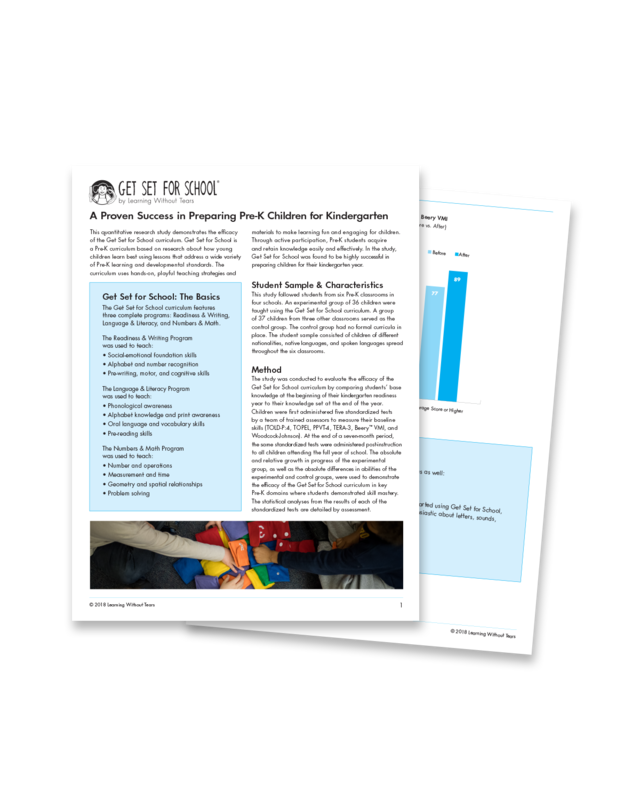 In a recent study that followed Pre-K classrooms across different schools, Get Set for School was found to be highly successful in preparing children for their kindergarten year. Yes, I'd like to learn more about the success of Get Set for School. Here's my information. Our mission is to make learning and teaching easy and fun by providing superior educational products, professional development, and materials to educators and families.